This class represents OECogArcFxn. See example in Figure: Example of drawing molecule surface using OECogArcFxn. The graphical properties of the arc. Draws a surface arc with the OESurfaceArcStyle.Cog style. 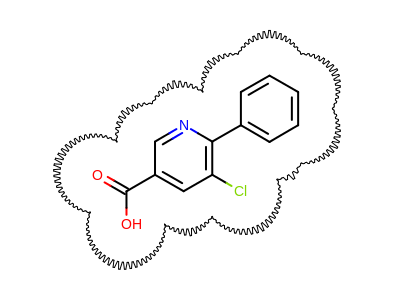 See example in Figure: Example of drawing molecule surface using OECogArcFxn. The image on which the surface arc is drawn. The object that stores the parameters of the surface arc. Deep copy constructor that returns a copy of the object. The memory for the returned OECogArcFxn object is dynamically allocated and owned by the caller.